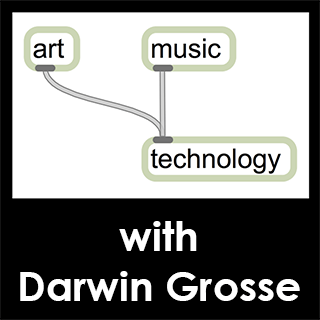 Darwin Grosse’s latest podcast is an interview with Brian Crabtree with http://www.monome.org. Listen here. I've told the story before – I first met Brian Crabtree when he was working in LA, and he showed me a button/light combo that was a "<shrug>" for me. Little did I suspect that the concept would end up being at the heart of the music industry of the future, and that I would be the proud owner of several devices that use exactly that technology. In this chat, Brian and I talk about the past, present and future of monome.org, including the continued development of the grid and the new modular devices they are creating. We also talk about his recent music releases, his design philosophy and how he feels about the state of grids in music technology. A very involved conversation that was also quite revealing.